Posted on February 28, 2019 - Get free updates of new posts here. Since then website advertising has evolved significantly. There are now new banner sizes, animated banners, rich-media interactive ads, videos in ads, and a whole host of targeting options to target or exclude certain audiences of people. Of the four ways, there’s one clear stand out for me which is the cheapest and best way to buy website advertising and that’s option four, buying advertising space on websites via the Google Display Network as placements. Why The Google Display Network? There are four main reasons why buying advertising on websites through the Google Display Network is a clear stand out for me. 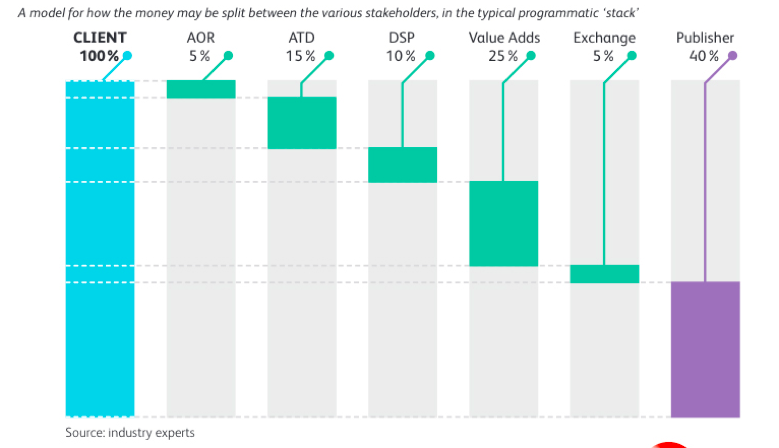 Cost is a major factor in deciding how to purchase advertising space. 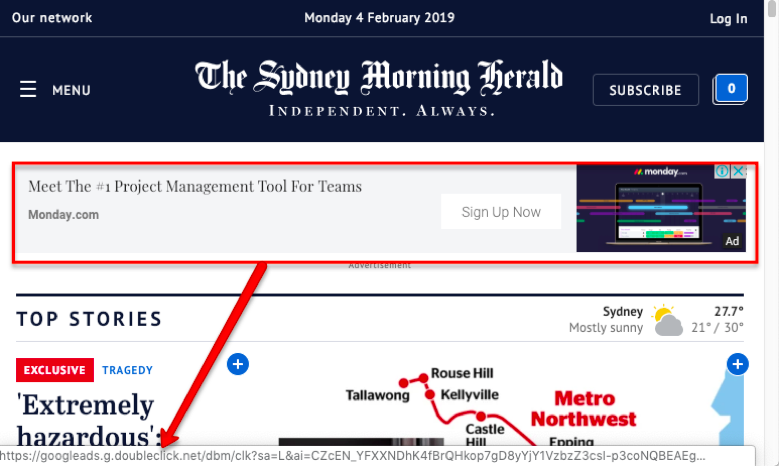 Recently I had a client tell me, after the fact, that they had purchased $30,000 worth of display advertising on one of the major news sites in Australia. They went to the site direct and ended up paying $30cpm. That’s $30 per thousand impressions! Instead of going direct, another option they could have taken is programmatic display advertising. Essentially working with an agency to buy the ad space on your behalf and serve it from their ad server. Since the agency is helping you buy this space and saving you time from negotiating with the website you’re charged a range of commissions and fees on top of what you’re paying the website and it works out at around $10-$15CPM – better than buying direct but still pretty expensive. So, what’s the cheapest and best way? Bidding on the website as a placement in the Google Display Network. In the past, we have bought advertising on the exact same news sites but using this method and we only paid the equivalent of 14 cents CPM meaning we could have got that client 214x more advertising impressions on the same site for the same cost! The reason it’s so cheap to buy ads via this method is due to the excess inventory that a lot of these sites have. Essentially, these websites will show all their direct ad bookings as the highest priority. If they don’t get enough ads purchased to account for every visitor they get on a daily, weekly and monthly basis they have excess or wasted ad inventory. Their solution? Utilising advertising networks to show ads so they still make some money off each visitor. 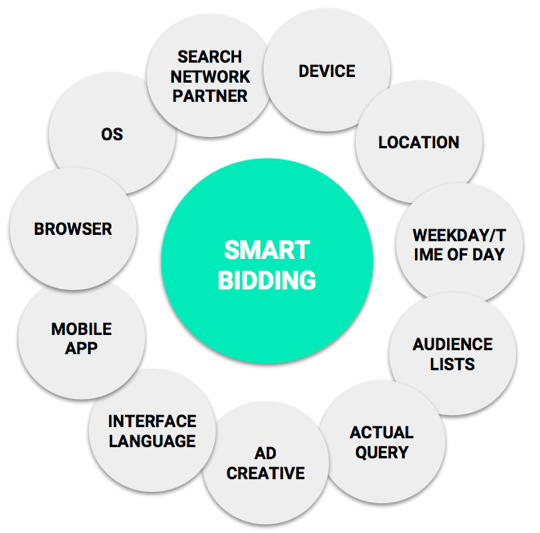 By placing their vacant ad spots on these networks sites essentially opens itself up for the highest bid from advertisers, with the ad network themselves deciding which ad to show based on a real-time auction. The second reason it’s cheaper and better to buy advertising on websites via the Google Display Network is the minimum spends required. Some websites and programmatic agencies will require you to spend tens of thousands of dollars at a minimum just to get started. That is a lot of money to pay to test advertising on a website which you may quickly find doesn’t even convert! On the flip side, the Google Display Network has no minimum ad spend at all so you can test the traffic from a range of websites with minimal spend and then ramp up the ones that are performing best ensuring the bulk of your budget goes towards the best sites for a campaign. Whilst not perfect, Google does offer pretty decent fraud protection which filters out fraudulent and robot-based clicks on ads and ensures you are not charged for this inventory. If you are advertising directly with a site you are essentially relying on their platforms or their software to remove false ad impressions and not charge you for them which in almost all cases will be done less effectively than Google. Other ad networks also struggle to filter our a lot of fraudulent traffic and I frequently see “reported clicks” from these networks far lower than the actual website traffic delivered – fraudulent impressions is likely worse. If just 1 in 10 of the impressions you buy through one of these networks is fraudulent you’re effectively paying 10% higher advertising costs so that’s why I’ll be sticking with the Google Display Network. 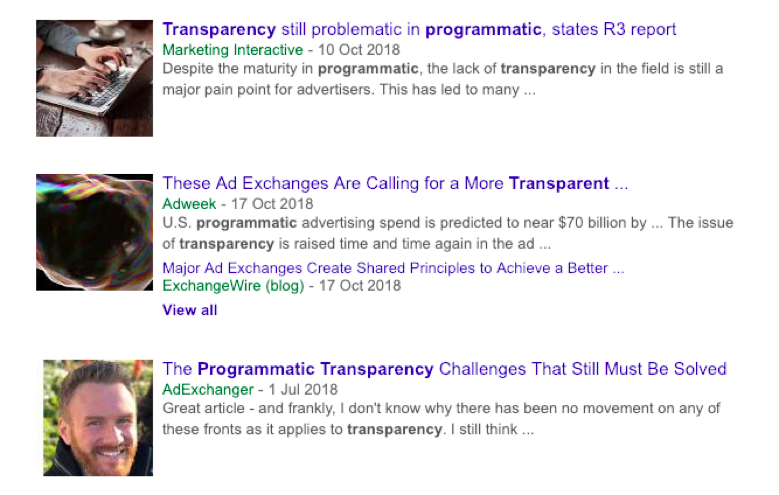 If you’ve ever tried to get a report of exactly where your ads appeared and the results from each website from a programmatic agency you’ll know what I mean when I say “transparency”. One of the major benefits of buying your ads via the Google Display Network is you can see every little detail of the campaign transparently on the platform itself. There is also complete transparency on how much each website is being paid for the traffic and no commissions and fees on top of what’s reported, so you know you’re looking at the right numbers. The Google Display Network is accessed via the self-service Google Ads platform which is easy to use. By buying your ads via a self-service platform it means you don’t need to rely on staff at the website or agency to make urgent changes to your ads or to optimise and improve the campaigns ongoing. You can pause campaigns at any time, change schedules, update geo-targeting, launch new ads, pull reports and a lot more, all from a self-service platform. You can also take advantage of Google’s A.I. bidding and other advanced features which are light-years ahead of the competition. 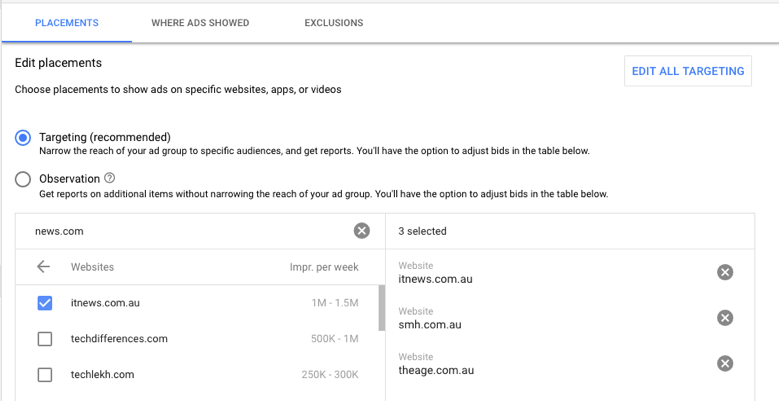 Some of the ways Google can optimise your bidding on websites. Some ‘premium’ websites don’t allow Google Display Network ads so you’ll have to go direct. Of the ones that do, they may have premium ad placement spots that are in far better positions on the site that you can’t buy through Google. For this to be worthwhile at 20-30x the cost, however, you would need a click-through or conversion rate of 20-30x other sites or banner spot positions, which I think is unlikely. You can easily spot if a website or ad position is available on the Display Network by going to their website – mousing over an ad and seeing if the URL has “doubleclick” in it, also keep an eye out for the triangle “Ad Choices” logo in the top right of ads which most of the time is a Google Display network ad. Some sites guarantee maximum exposure in all ad spots for a certain campaign. If you have a multi-million dollar budget and do want to take over the whole site for a short time and guarantee yourself inventory then it could be better to go direct to the website or utilising Programmatic to buy guaranteed inventory space. 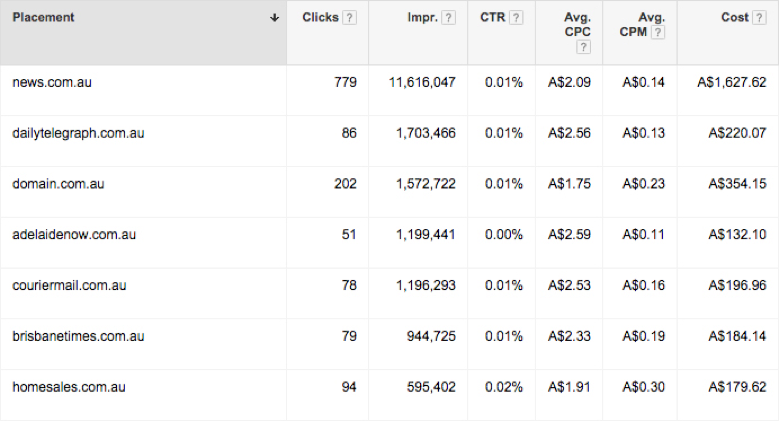 If, however, you’re not limited to just a few days for the campaign, need a direct ROI from it and are prepared to not have your ads showing every single refresh, then going through Adwords is far better. Websites are coming up with very interesting and innovative ad types so if you’re after an ad which the consumer can experience as opposed to one that they will just see then it can be better to go direct to an advertiser. That said, Google’s Rich Media ads are getting better and better so are worth testing first. 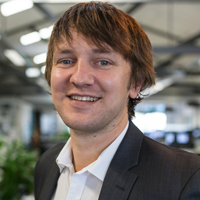 Whilst these arguments may have some merit I’m confident that getting the impressions for up to 20-30x cheaper and running the campaigns out of a self service platform easily outweighs any negatives to buying your ad space through Google’s Display network and make it a very valuable way to maximise your advertising budget whilst improving your ROI. If you have a strong argument for or against – would love to hear from you in the comments.